In May of 2008, Congress enacted the Genetic Information Nondiscrimination Act (GINA). This Act was enacted as a result of concerns that advancements in the field of genetics and the decoding of the human genome could lead to the misuse of genetic information to discriminate against individuals in health insurance and employment decisions. The Act prohibits employers from using genetic information to make employment decisions, restricts employers’ use and disclosure of genetic information, and prohibits retaliation against employees who complain about genetic discrimination. In November of 2010, the Equal Employment Opportunity Commission (EEOC) issued a final rule clarifying many of GINA’s provisions pertaining to employment decisions. The final rule went into effect on January 10, 2011 and contains several key changes to the original proposed regulations, clarifying the circumstances in which an employer may be liable as a result of acquiring genetic information from its employees. Under GINA, “employees” include applicants at any stage of the hiring process. GINA’s protections also extend to employees’ family members, who are defined as persons who are or become related to an individual through marriage, birth, adoption, or placement for adoption. Genetic information broadly includes information about an individual or his or her family member’s genetic tests, family medical history, requests for or receipt of genetic services, or the genetic information concerning a fetus or embryo of an individual or concerning a pregnant woman who is a family member of that individual. The EEOC did not define the term “genetic tests” in the final rule. Instead, it provided examples of tests that are, and are not, included in the definition. The rule allows the collection of data from complete blood counts – liver-function and cholesterol tests, for example – but does not allow tests that genetically determine a predisposition to breast cancer, or DNA tests that reveal family relationships (such as paternity). An earlier version of the EEOC’s rule included references to “deliberate acquisition” of genetic information. However, it is important to note that this terminology has been eliminated in the final rule. The EEOC rule explains that employers may violate GINA unintentionally. Accordingly, employer policies that present a “heightened risk” of acquiring genetic information, such as those requiring medical documentation for prolonged absences, should be considered carefully. It is recommended that such policies discontinue requests to applicants and employees for family medical history except in the limited circumstances permitted in connection with a wellness or disease management program. Utilization of this “safe harbor” language will assist an employer in demonstrating that the acquisition of genetic information was inadvertent. However, the rule provides that an employer’s failure to use this “safe harbor” language will not automatically prevent an employer from establishing that the receipt of genetic information was inadvertent. GINA prohibits requests for employees’ genetic information. The rule makes it clear that such requests include conducting an Internet search that is likely to result in obtaining an individual’s genetic information. While GINA makes an exception for publicly available genetic information about an individual, such as information found on an unprotected social media website or a general interest website not directly related to genetic information, as in instances where a manager and employee are “friends” on Facebook, the rule explains that intent can be a factor in determining whether a violation occurs. While an employer will not be liable under GINA where a manager or supervisor inadvertently learns of genetic information from a social media platform to which he or she was given access by the creator of the profile at issue (typically the employee), websites that do not fall within this exception would include those that specifically involve genetic information, such as the website of a genetic testing program. An employer that intentionally performs an Internet search in order to obtain genetic information about an employee will expose the employer to liability under GINA. There are situations in which obtaining genetic information is permissible. An employer that inadvertently obtains an employee’s medical history or genetic information is not in violation of GINA. For example, a supervisor who asks an employee, “How are you?” or otherwise engages in casual conversation with the individual or a third party will not subject the employer to liability if the employee or the third party provides genetic information in response to such an inquiry. An employer will not violate GINA if a manager or supervisor overhears a conversation about genetic information between the individual and others. The rule warns, however, that if the manager probes further and asks questions likely to result in the acquisition of genetic information, the inadvertent acquisition exception will no longer apply. An employer that asks for genetic information in response to a request for accommodation under the Americans with Disabilities Act will not be held liable if the condition is not readily apparent. GINA also allows employers to request employees’ medical histories in order to comply with Family and Medical Leave Act certification requirements, but employers must carefully guard that information. It is critical to store personnel records, such as FMLA certifications that contain genetic information about an employee, in a confidential medical file, and to strictly limit access to such records. Another exception under GINA is for employer wellness and disease management programs. Many employers offer employees wellness programs designed to enhance the health of employees. The acquisition of genetic information pursuant to a voluntary wellness program will not violate GINA if the employee participant “provides prior knowing, voluntary and written authorization.” This means that the employer must use language “reasonably likely to be understood by the individual from whom the information is sought, describes the information being requested, and describes the safeguards in place to protect against unlawful disclosure.” Further, individually identifiable genetic information must only be provided to the individual or to qualified health personnel, and not to the employer. Although an employer may not offer a financial inducement to employees to provide genetic information, it may offer such inducements for health risk assessments that include questions about family medical history so long as the employer makes clear that the inducement is available irrespective of whether the questions about family medical history are answered. While GINA prohibits employers from classifying or segregating employees based on genetic conditions, the rule clarifies that employers may limit or restrict employees’ job duties based on genetic information if a law or regulation mandates genetic monitoring (for example, certain OSHA regulations). The rule clarifies that neither GINA nor the rule creates a cause of action for disparate impact as a result of such restrictions. GINA permits employers to engage in genetic monitoring of the biological effects of toxic substances in the workplace, provided the employer notifies employees of its intent, and employee consent is obtained in locations in which the law does not require such monitoring. An employee who refuses to participate in a voluntary genetic monitoring program should be informed of the potential risks of such refusal, but cannot be subject to discrimination as a result of this decision. Violations of GINA’s regulations can be costly. Available remedies include compensatory and punitive damages, reimbursement of reasonable attorney’s fees, and injunctive relief (for example, reinstatement and back pay). As a result, employers should take proactive steps to avoid GINA liability. It is recommended that such steps include review and revision of policies and procedures in order to ensure compliance with GINA, revising medical request forms to include the “safe harbor” language outlined in this article, and training managers and supervisors on the scope of GINA and the dangers of violation of its provisions. 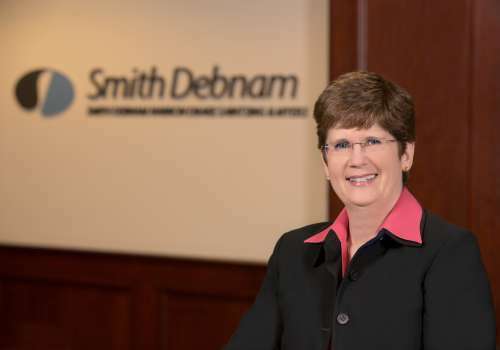 If you have questions about the issues raised in this article, please contact Connie Carrigan at ccarrigan@smithdebnamlaw.com.